Histograms and Bar charts are very useful for data visualization. Even though they're pretty similar, they don't share the same purpose: while histograms are meant to show the frequency of certain data range, bar charts are intended to compare values through a bars' height or length. Today, we will learn to customize each of these charts in Ubidots or Ubidots for Education. 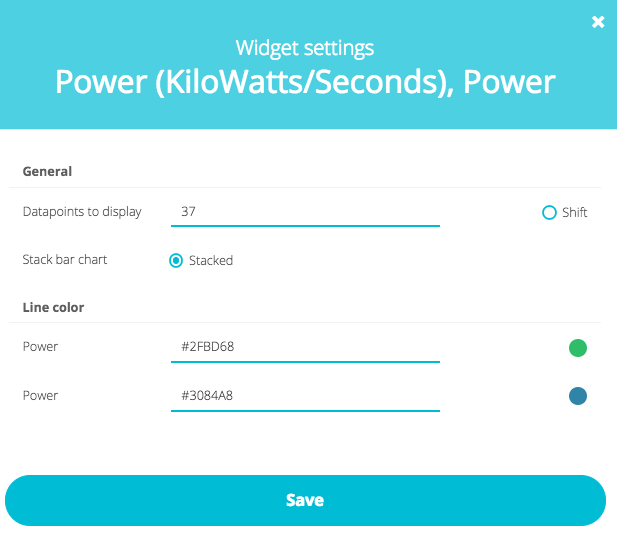 First, go to Device Management -> Dashboards -> Click the "sprocket" icon located in upper right corner of the widget to display its settings. To adjust the settings, click the "sprocket" icon in the upper right corner of the widget. 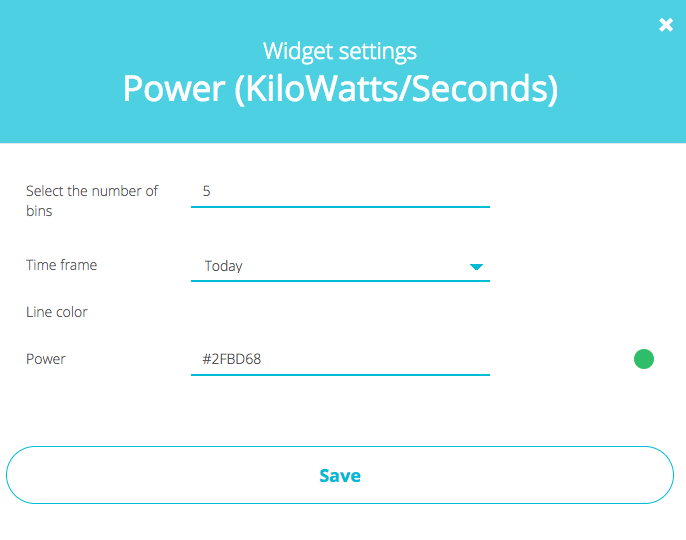 The widget below displays the parameters of the above settings. Display the latest 37 data points - bars. Turn off Shift - shift will add data points as they occur for real-time analysis - sift will also increasing the initial 37 readings displayed to 37+n. Stacked: display 2 or more variables using one bar. 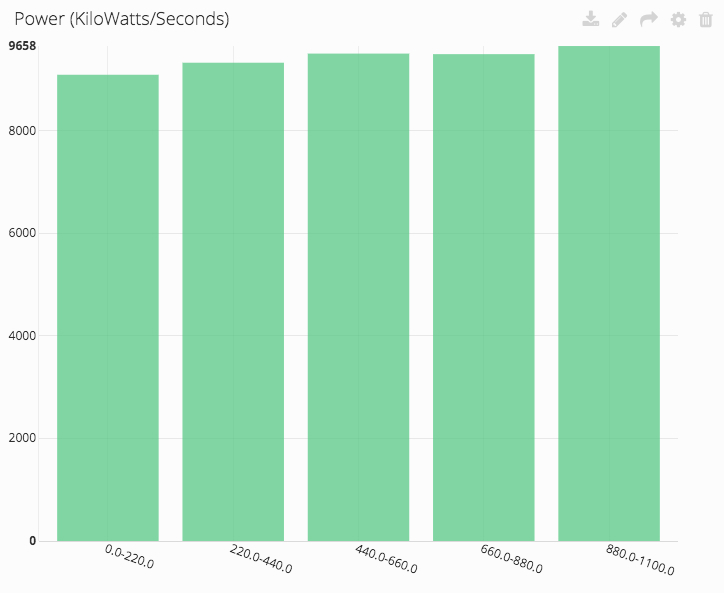 In this case, we're summing the energy consumption of two machines, whose variables are both called "Power".